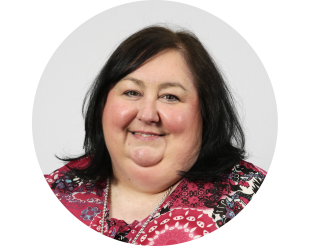 Beth Morrison is a member of our Young Families Support Committee (YFSC), and has for years campaigned to make sure that children who have learning disabilities are not abused at school. “My son Callum was restrained and suffered physical harm at school several years ago. I complained. I called the police. I even had my GP suggest a Child Protection Order (CPO). But nothing happened. I was ignored. I realised then that there were no guidelines on how to support children with potentially ‘challenging behaviour’. In schools all over the country, children with additional needs were being physically restrained and secluded. This was wrong. “I decided that something had to be done. I spoke to charities, parents, MSPs and teachers. I realised that terrible things were happening in schools all over the country. Children were suffering because of this. Some had even died. I started a petition which I took to the Scottish Government. I provided lots of evidence about harmful practices and they have committed to publishing new guidelines. I also set up Positive and Active Behaviour Support Scotland [PABSS] network to provide support to parents and families like mine. “When I went to Holyrood to support the launch of #IncludED in the Main? !, I got quite emotional. I felt that, after all the years of stress, and fighting to be heard, we were actually being listened to. I sat in my chair and I cried. I could hear the speakers talk about the difficulties families faced when dealing with schools, but I couldn’t see them for the tears. They were describing my life as a parent of a child with complex medical and learning disabilities. Finally, someone actually understood the frustration and for the first time ever, I knew that our children had a voice. There was hope after all. Beth recently received a highly commended award from British Institute of Learning Disability (BILD) for positive Behaviour Support. Let’s take the next steps on the journey to inclusion together - add your voice to #IncludED in the Main? !